Register early to save your seat! Eat Clean & Be Happy! 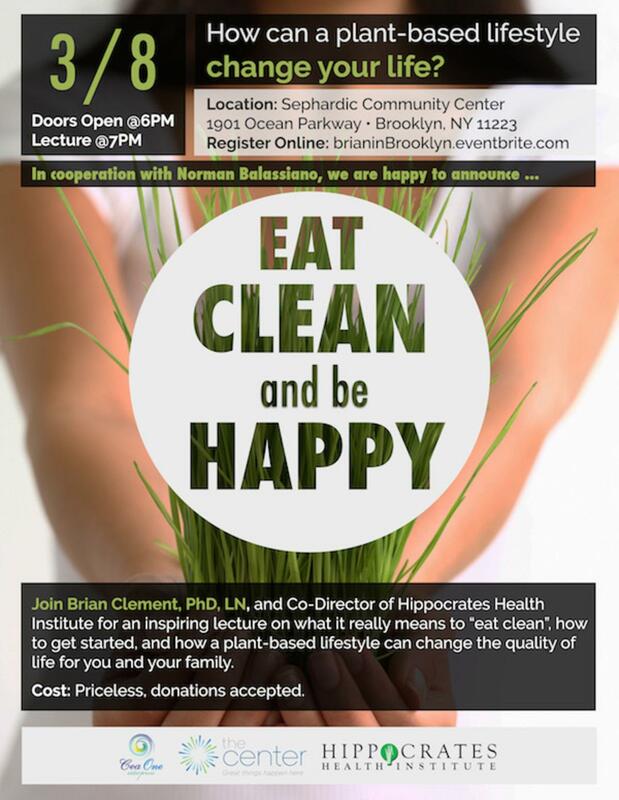 Join Brian Clement, PhD, LN, and Co-Director of Hippocrates Health Institute for an inspiring lecture on what it really means to "eat clean", how to get started, and how a plant-based lifestyle can change the quality of life for you and your family.